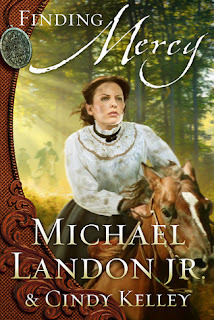 Bailey and Gage each have something the other wants—but can these two headstrong homesteaders settle their differences long enough to find out what? Bailey Wilde is the oldest sister--and the one who takes care of everyone else in her family. But after her sisters marry and move away, her little homestead becomes bleak and lonely, especially during the long winter months. In a moment of weakness, Bailey agrees to a wild plan concocted by her neighbor, Gage Coulter. Can these two independent, life-toughened homesteaders finally loosen up enough to earn each other's respect--and maybe find love in the process? My thoughts: I read FIRE AND ICE through in one sitting (I was doing a lot of "hurry up and waiting" at the time) and found it hard to put this book down when I had to move from point A to point B... etc for my waiting. I didn't think I would like Bailey much from the other two books in the series (Now and Forever and Tried and True) because she was very much a manly woman. However, Bailey does have a feminine side and we got to see it as well as get to know her and Gage during this hair-raising historical romance. Someone is trying to kill Gage -- but who? And why? I greatly enjoyed this book and look forward to whatever is next in Ms. Connealy's writing career. Highly recommended. 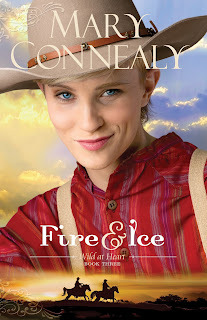 Mary Connealy writes "romantic comedies with cowboys" and is celebrated for her fun, zany, action-packed style. She has over half a million books in print. She is the author of the popular series Wild At Heart, Kincaid Brides, Trouble in Texas, Lassoed in Texas, Sophie's Daughters, and many other books. Mary lives on a ranch in eastern Nebraska with her very own romantic cowboy hero. Learn more at www.maryconnealy.com. Interview with Patty Smith Hall / Giveaway!!! 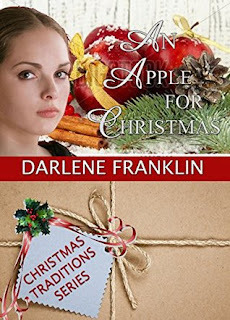 Patty is giving away two copies of her January Love Inspired Historical in addition to A Home for Christmas. Print or ebook. USA only for paperback. Please include contact information as we can't contact you if you win without it. Please tell the readers about the book that is being showcased today. A Home for Christmas is a novella I wrote in the Christmas Mail Order Angels series along with Cynthia Hickey, Darlene Franklin, Gina Welborn and several others. Set in the mining town of Angel Vale, Wyoming in the late 1870s, the premise of the series is a promise made by one of the men to send for a bride from his mother’s hometown of Melville, Maine. Other men looking for wives join in and after several letters back and forth, a group of women arrive to meet and in some cases, marry their intended groom. How did you come up with the concept of your novella? As I was reading everyone else’s stories (and by the way, they’re all fantastic!) a seed of an idea popped into my head—what happens when the intended groom rejects his bride? The more I thought about it, the more I loved the idea but I had to come up with a believable reason why this man would reject Margaret Cobb after he’d paid for her travel expenses. Now, I love the wounded character—all of us are scarred in some way or another but Margaret’s problem had to be visible as well as emotional, something a person would notice in a heartbeat. So my heroine has a port wine stain on her face that her father told her was her punishment for killing her mother in childbirth. What are you working on now? Do you have a release date for this book? Right now, I’m working on edits for a story based in the Georgia gold rush of 1830. I wrote it a few years ago but life and deadlines for contracted work put it on the back burner until now. I’ve also got a book releasing in January with Love Inspired Historical, the fourth in my WWII series. The Baby Barter will be available January 1 or 2. 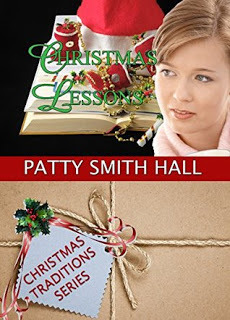 Patty Smith Hall is a multi-published author with Love Inspired Historical and Heartsong. She currently serves as president of the ACFW-Atlanta chapter and lives in North Georgia with her husband of 30+ years, Danny; two gorgeous daughters and a future son-in-love. Her new release, A Home for Christmas is now available on Amazon. “If you don’t want me, I understand.” Her fingers fumbled with the ribbons of her bonnet, then tugged it off, loose sprigs of honeyed blonde hair tumbling over her shoulders to her trim waist. “Why would I. . .” His question trailed off as his gaze met blue eyes the color of the morning sky. Then his focus shifted, taking in the dainty slope of her nose, the too full lips, the tiny dimple in her right cheek. Avery blinked. Was the woman mad? Didn’t she have an idea just how lovely she was? Avery watched her for a moment longer, a peace he couldn’t quite comprehend settling over him. Whether she knew it or not, Margaret Cobb was the answer to his prayers. My thoughts: This story was slower paced than most Love Inspired Suspense, which isn't a bad thing. 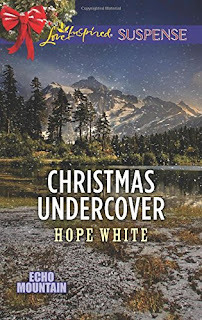 I liked that Sara and Will aren't running for their lives the whole time.There was also enough action so the reader doesn't forget that it is a suspense first and a romance second. I liked how Will struggled to be a good father to his two daughters despite his mother-in-law's interference. I didn't get (at first) why Sara felt she couldn't tell anyone she was an FBI agent, though by the end it was clear why. There wasn't much of a faith message, it was about prayer which is important, but if one is not a Christian and not a praying person, imho there should've been more. But I also understand this brand doesn't want a strong salvation message. We knew who the villains were in this story all along, and why, which did serve to slow the story down some, but all in all it was a good story. Recommended for those who love romantic suspense. My thoughts: I like Ms. Franklin's more recent novellas. They are cute. This one was set on an apple orchard and an all-girls' school in Vermont. The father and both daughters are named after apple varieties. Really cute. There is a light faith message, which is really good. At first I didn't like Ruby very much. She was rude and prickly to the father. But she softened up. I didn't understand why she was unwilling to use her scientific skills when he asked, even though he offered to pay her for her help. I also didn't understand why the head mistress would blame Ruby when one girl (out of a class of twenty-thirty) didn't pass even though everyone else did. All in all, this was a good story. I enjoyed getting to know the main characters and a little about their lives. I got this book from the author for review. If it were, history teacher Claire Davenport would have married her childhood sweetheart Billy Warner in a heartbeat. But Billy has big dreams of coaching college football, a plan that could be sidetracked by Claire's disability. Fearing he'll resent her, Claire breaks their engagement and sets out to build a life around the children at her school. Two years later, Billy Warner is back in Marietta, the new head coach at the school where Claire teaches, and determined to find out why she broke his heart. Working together to give Christmas to needy families in their community, they can't deny the love they've always shared, but will it be enough to last a lifetime? A sweet Christmas novella by the author of Hearts in Flight, Hearts in Hiding and Hearts Rekindled. My thoughts: Set after WWII, CHRISTMAS LESSONS is a sweet romance about a second chance at love, old friends becoming lovers. 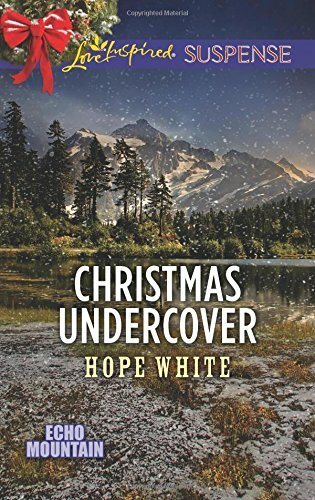 The characterization isn't exactly deep, and we didn't get to know the characters as well as we would in a longer story, but it was a sweet Christmas romance. Billy wants to win Claire's heart and marry her, but years ago, she broke his heart when she rejected him. Why? Would he ever learn the truth and win her back? 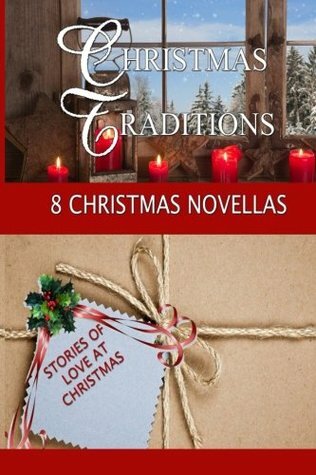 This is the fifth book in the Christmas Traditions series, written by eight other authors. A good read. 4 stars. I also read Carrie Pagel's, The Fruitcake Challenge (which I loved). Dallas/Fort Worth—Few problems are so pervasive, yet shrouded in secrecy, as domestic violence and sexual abuse. The statistics are staggering. They are reflected across every demographic. Nearly one in every four women is beaten or raped by a partner during adulthood.One in every four girls and nearly one in every six boys will be sexually abused before the age of 18—but until recent years, these widespread problems were rarely made public. This October, in conjunction with Domestic Violence Awareness Month, Shannon Deitz, author, speaker, and founder of Hopeful Hearts Ministry, is inviting abuse survivors to step out of the shadows and bring their stories to light. Hopeful Hearts Ministry has heard from survivors in Africa, Poland, England, Scotland, Ireland, Canada and across the US. Each video gives a survivor the opportunity to speak about their story in their truth, discarding the shame that they have carried but was never really theirs. Viewers recognize their own story in the voice of other survivors, and the videos are encouraging them to speak out about the abuses they've suffered and to seek help if needed. Eight years have passed since Holly last saw her high school sweetheart, Josh. Now the wedding of Josh’s best friend has brought him back to Martinsburg, Texas. His duties as best man and Holly's as the church's volunteer wedding coordinator link them together. As they work behind the scenes to plan a beautiful November wedding for their friends, they're forced to confront painful reminders of what might have been. Holly broke up with Josh all those years ago in an attempt to ensure his future success. However, she never told him the true reason behind her actions and now must decide whether to keep her secret hidden. She's terrified of letting herself fall for him because she barely managed to piece her life back together after losing him the last time. Not a day's gone by since Josh parted from Holly that he hasn't thought about her. The pain of the past eight years has been too much to bear and he doesn't want to make himself vulnerable to her again. But the more time he spends with her, the harder it is to deny the love he still has for her. Will Josh and Holly risk their hearts on the hope that God's timing really can be best? My thoughts: LOVE IN THE DETAILS is a very cute contemporary romance novella. I'm sorry to see another Year of Weddings series come to an end and hope that HarperCollins will keep up the fun with another year. Becky Wade is not one of my favorite contemporary authors. She is a good writer, but I'm more conservative than most Christians and generally am bothered by something in her books. (I know many will disagree with me.) But in this shorter venue of writing, I loved the story. Josh is kind of stiff and unfeeling acting, but it is sort of like a "wall" he built up around Holly. On the other hand, Holly seems to be open and friendly and willing to go the extra mile. Very definitely an extrovert. I enjoyed getting to know Josh and Holly and share in their romance. 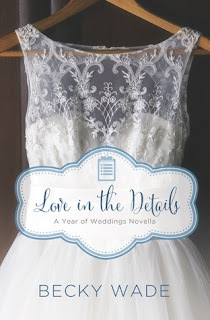 If you like the Year of Wedding series with Zondervan or are a fan of Becky Wade, then you will definitely want to read LOVE IN THE DETAILS. A great story. 5 stars. New York City- Collaboration, community and gospel movements are what Movement Day is all about, and on October 29, 2015, leaders from around the world will once again gather at the New York Hilton Midtown to further that very cause. Seeking to bridge the spiritual, economic and racial divides in our cities, Christian leaders will gather for the 6th consecutive year to address today’s urban issues and maximize their leadership potential. All have purposed to accelerate city transformation through the Gospel of Jesus Christ. In recent years, global interest and participation in Movement Day has been on the rise and leaders at The New York City Leadership Center, founders and hosts for the annual event, aim to capitalize on this growth in order to replicate the movement in other major global cities, to catalyze leaders, and to foster collaboration on a worldwide scale. Publish quotes, photos and social media updates. Furthering the cause of global gospel movements, Movement Day 2015 will also host a press conference at the end of the day to announce Movement Day Global Cities 2016 – The Nations of New York Hosting the Nations of the World to be held at the Jacob Javits Convention Center, October 25-27 2016. The press conference will be conducted at the conclusion of Movement Day on October 29, 2015 at 5:30 p.m. in the Gramercy West, 3rd floor, of the New York Hilton Midtown, 1335 Avenue of the Americas NY, NY 10019. Panelists will offer a brief overview of the movement, current realities, and anticipated outcomes followed by a Q&A with the audience. Facilitated by The New York City Leadership Center and the Lausanne Movement, an anticipated 5,000 global leaders will gather next year at Movement Day Global Cities 2016 for the sole purpose of impacting the spiritual and social climate of their cities by creating learning communities, sharing best practices and advancing high-level, city-changing collaborative partnerships. The three-day event is expected to be a world-historic gathering of Christian leaders for this generation and will be led by an expert faculty that includes Bishop Claude Alexander, senior pastor of The Park Church, Rev. Bill Hybels, senior pastor of Willow Creek Community Church, Dr. Tim Keller, senior pastor of Redeemer Presbyterian Church, Dr. Luis Palau, founder of the Luis Palau Association, and Dr. Gabriel Salguero, president of the National Latino Evangelical Coalition. Online Registration Ends October 21. Walk-in Registration will be available Oct. 28. This is historical romance with a blend of intrigue from beloved storytellers renowned for their work in film and print. My thoughts: I have been anxious to read this book, and thought I wouldn't get it to review, when all of a sudden, a year after it's release, FINDING MERCY finds it's way to my mailbox in Advance Reader Copy form. Wow. It took it's time getting here! After reading (and loving) Traces of Mercy, I had high expectations for this book and it lived up to them and more. I loved this book! Fans will want to read Traces of Mercy first as this series doesn't stand alone. I loved Mercy and Elijah and Isaac, and this book introduced us to new characters to love. It says it's a triology, but I can't find any information on the third book. I hope it will be written! FINDING MERCY had me sitting on the edge of my seat, wondering what would happen next. Full of suspense and intrigue, this is a must read historical. My only complaint is that the ending felt a bit rushed. Interview with Kathleen Y'Barbo and giveaway!!!! Blog post by Carol McClain and giveaway!!! !